Dotty Attie’s engagement with feminism developed through her the appropriation and re-contextualization of venerated 18th and 19th century art works as a means of self exploration. Attie takes works from old masters such as Vermeer, Caravaggio, and Ingres, and remixing them to illustrate deeply personal narratives. The deliberate cutting and copying involved in this practice features prominently in works such as “Vermeer’s Wife,” in which several Vermeer portraits are reproduced, cut into neat squares, and rearranged onto a grid to form a unique image. Text underneath the painting describes the action occurring in “The Letter,” in which the painter’s wife is notified of the death of Vermeer’s mentor by mail. The portraits are arranged in order to give the appearance of a series of vaguely threatening actions occurring around the central female figure, thus forming a visual representation of the paralyzing effect existing in an implicitly violent, male dominated space can have on a woman’s psyche. In Attie’s more recent work, she explores similar themes through photography. The Lone Ranger series, for example, takes advantage of images depicting the iconic television character to examine masculine identities and the fantasies they evoke. Harnessing the power of the subliminal via her scrambled imagery lends an elusive quality to work that subsequently confronts the viewer with a surprisingly intimate reveal. 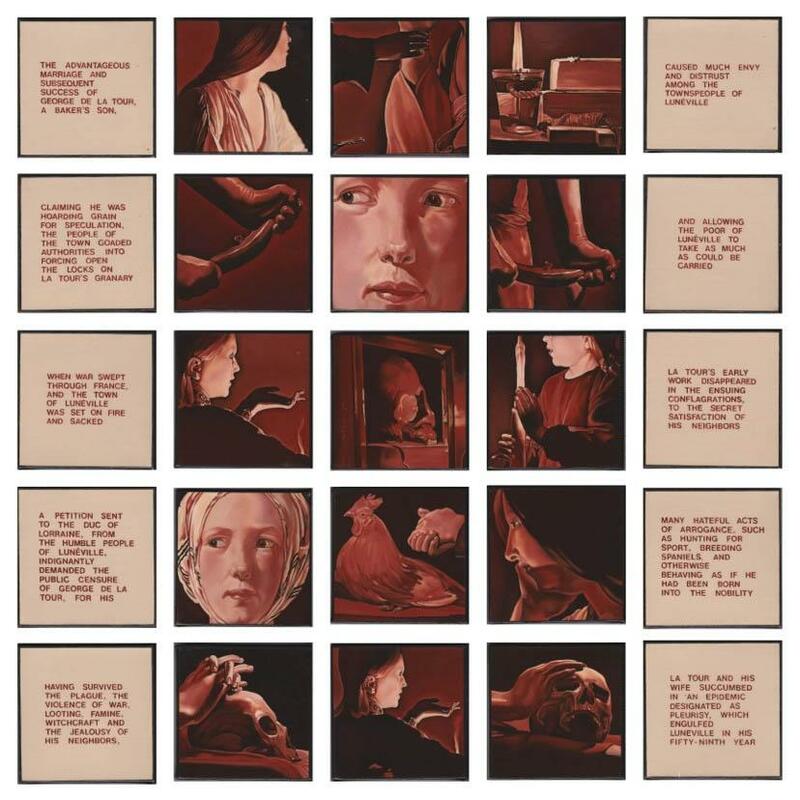 Dotty Attie works primarily in New York, though she has exhibited in both group and solo exhibitions worldwide. She was born in 1938 in Pennsauken, New Jersey, and received her BFA from the Philadelphia College of Art. Attie’s work had been recognized through fellowships with the Brooklyn Museum of Art School in 1960. Her most important solo show took place in 1972 at A.I.R. gallery. An active member of A.I.R. up until 1986, Attie helped choose the initial location, recruit members, and maintain the space. She played a significant role in helping A.I.R. achieve an international presence as well, by securing shows in Paris and Japan. 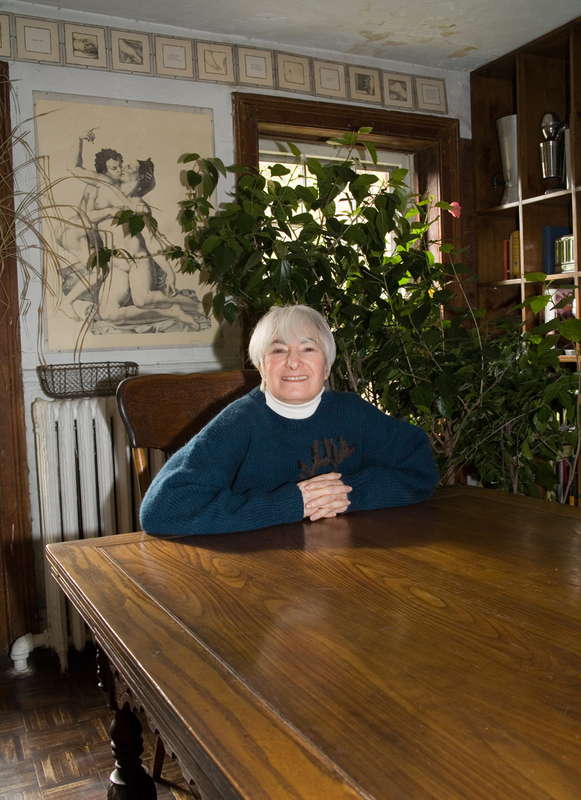 Attie has received several awards and grants for her work, including the Creative Artists Public Service grant from the New York State Council on the Arts in 1976 and the National Endowment for the Arts grant in both 1976 and 1983.